Ok, so in this tutorial I am going to show you some tips and tricks with green stuff to help you convert different models. 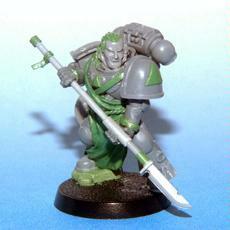 In this example I am going to be building my company champion for a space marine chapter I am building. Ok So to start off with you’re going to need some tools. Firstly you need your sculpting tools, in my opinion you don’t need fancy specialist ones I just use and old compass and something from a women’s nail care kit I got hold of. Basically, something pointy and something to smooth. Together with that you will need some green stuff, some milliput (or other solid drying putty) a knife of some sort and some lubricant. I use some old massage oil but Vaseline or other oil would do. 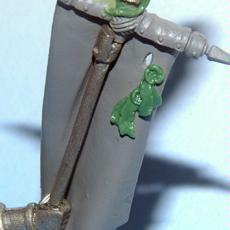 Ok so firstly I am going to be making the robes for my model. What I have done firstly is create a base for me to sculpt on with miliput. This dries rock hard after a few days so I will be able to push and press as hard as I like with the greenstuff without having to control it from the back. When you’re doing this be carful not to cover any detail you want showing and to leave enough room for the green stuff to go on top. So after that is dry mix some green stuff and rol out a shape rougly the size you want one of the folds or creases on your model to be. Now place that on your model in the position you want. Start to build them up with a rough idea of how you want the fold to run. Ok now you have the base work done you need to start smoothing your folds to make them look more acceptable, for this we use our smoothing tool. Remember not to push too hard or press against the putty and just to gently work it into place by multiple, gentle strokes against it. Hopefully it should start to come along a little something like this. You can always take some greenstuff away if you feel there is too much or add some if too little. Take a look at how folds normally work on your clothes and on pictures to better get an idea of the realism. And keep a good thought on how easy it will be to paint also. 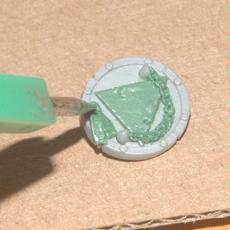 Once the mainstay of the smoothing work is over you can use your other tool to start sculpting smaller detail. In this case I have better defined one of the creases at the top. Ok now I’m going to add some rope as a belt, this is fairly easy. 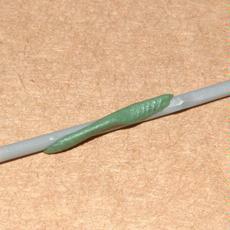 First of all roll out a length of greenstuff half the thickness you want your rope to be. Now wait until that is slightly dry (the importance of which comes later one) and fold it against itself. 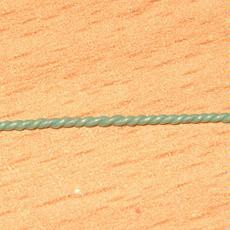 Now you want to twist it to make a rope like texture. Be carefull not to stretch it (this is why we let it dry a bit as it is harder to stretch), stretching it will make it uneven and look off. Twist it in different areas to get it looking even. All you have to do now is put it in place like I have done here. Notice I have also extended the robes and added the bit to the torso, this has been done using the same method as before. Ok so now I need to decorate my champion’s shield so I am making a small chain, my example is going to be very small but you can make your chain as big as you like with the same method. 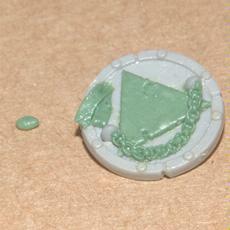 Firstly rollout a bit of greenstuff to the thickness you want the chain to be and cut it to size. Next, put it in place where you want it on the model. Again once that is done, use your tool to poke and pull at the sides and inside the holes to give them more of a rounded shape. Once you have that you want let it set hard for the next step. After it is dry roll out another length of green stuff slightly smaller in thick ness. Now carefully press that into the holes on your chain so far. 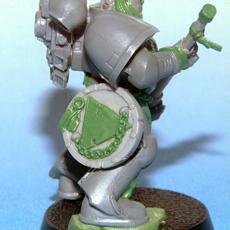 I also want to add a purity seal to the shield. To do that firstly I flatten out a bit of greenstuff then let it dry slightly, this mean you can be more brutal with it later on, which is handy when your making it off model. 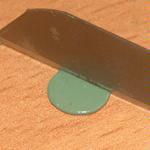 Make sure your surface has a bit of lubricant on it so you can pull it off cleanly. Next, take a knife and slice into the greenstuff. Cutting two rectangular shapes which will be the parchment part of your seal. Once you have done that pull the unwanted greenstuff away. Push that into place on wherever you want it to go, remember you don’t need to wrry about messing up the end as the seal will cover this part. So if you want to spike it in order to pick it up do so. Once that is done get your other piece and place it on top. 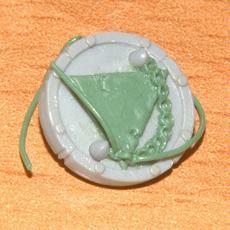 I leave that to dry completely then so I can play a bit more with the seal without messing it up. 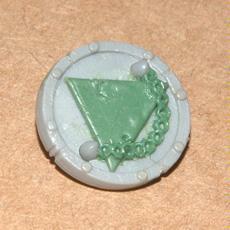 So get a small ball of greenstuff which you can press down as your seal. Use something of suitable size to make a hole in it, as you can see I’m just using my same tool as this is the size I need. 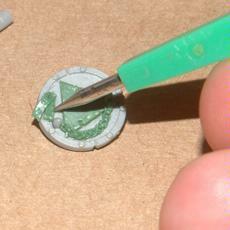 If you want to create the small cuts and roughness on the seal like you see with GW’s versions I use a knife and cut gently around the seal. Purity seals are great for all sorts of things, you can use them to add more decoration, cover up things you don’t want people to see or just to add more to a blank space, like my example I made bellow. Hair is a fairly difficult thing to get right and is also an important part of the model, most people will look to the facial first as it is a natural mechanism being human. So to start with I have added a head, in this case it happens to be bald but you can shave another head with exiting hair down if you need to. 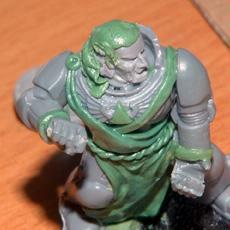 Ok so firstly apply rough amounts of greenstuff to the area where you want the hair. 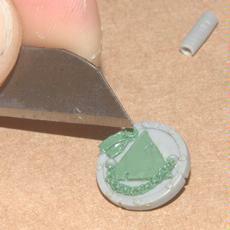 Now use your smoother to smooth it more towards the end result, then take or add any bits you may need. The second picture shows me pulling away some unwanted greenstuff. Now, with some lubricant to aid, you want to stroke your geenstuff to get the wanted texture. Here, I’m going for a half slicked back look with hair falling other the back of the implants. 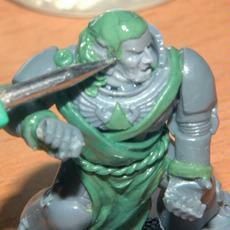 Keep working the greenstuff using whichever tools give you your wanted effect. For example here I wanted the hair falling over the back to look smoother and less messier than the hair on top so I have used a different tool. 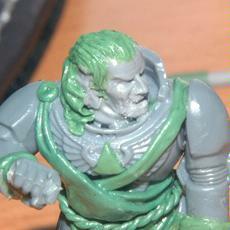 The main thing to worry about is the amount of greenstuff you have on your model. Keep looking at it form different angles to make sure yur not over compensating on one side. The same technique can be used for facial hair. Here I have stroked the greenstuff into different curves and to create the ends of the hair I have pulled away greenstuff to leave points. I’ts always worth going back to your model when it’s half dry as you will be able to apply more pressure when the putty has hardened and do things you weren’t able to before. Sometimes you might find it advantageous to do one part of the hair after the first part is done and set. One fairly simple trick I am using here is one I thought up to better aid the creation of pole based weapons like halberds and such. To start off with bet your pole then a bit of greenstuff. Roll that greenstuff out so it covers the pole evenly. Now wait for that to set. Once it has set, slide it off. Now you can cut whatever length of it you want and place it back on the pole to whatever effect you want. You can vary the thickness by rolling more greenstuff over it in the first stage. Here I have used this technique to add detail to my champion’s halberd. So I have now finished and am fairly happy with the results. I hope at least some of that may be useful to you. Thank you for reading. Goodness gracious... That's impressive, and doable for someone with the greenstuff skills of a polio patient (like me!). Thank you very much, I will use your tips for my DA guys. Greatness! Finally an easy way to do robes! Love that it's multiple tips all on the same mini. Thank you for sharing. I love this tutorial...fantastic work. Excellent work, whatwhat! Thanks for sharing your skills! LBursley wrote: Greatness! Finally an easy way to do robes! Love that it's multiple tips all on the same mini. Thank you for sharing. Thank you, and thank you also for setting the whole contest thing up. Been a good month of tutorials learnt quite a bit, heres hoping it continues. I for one shall be making more, got a few things in mind I wasn't able to cover here. Nice tutorial! My GS skills are awful and following this should help me improve a lot. Hope to see more soon. K thinking of making a gs banner tutorial next as I am needing to make one anyway, watch this space. For the past few days I've been looking for sculpting tips and tutorials all over the net. I got more of what I've been looking for out of this than everything else combined. How long did it take you to figure out how to do the green stuff cloak? That will really help me with sculpting. Bloody awesome mate ! just what I needed, i never thought of doing robes etc in that way ! great detail work, thanks for the posting. Its no surprise this tutorial is topping the polls, creative and innovative techniques combined with clear and simple instructions makes a rather amazing walkthrough. what a great tutorial you've done here. Cant wait to get home and try some of this stuff out. Thank you everyone for your kind words, the reception has been quite flatering. Took me about 5 to ten minutes for this example. Beautiful finished product, and it definately gives someone whos never done any sculpting before a ton of confidence to get in and give it a try. My only question is; What does the model look like from the back with the clay you put down for the base of the loin cloth? Its hard to get perspective with the shots provided. Is it something that has to be treated or prepared for Prime/painting differently? Or is the shield there to screen the foundation? No the back doesn't suffer because of the clay, I know its hard to get an idea of what it looks like from the back but it's fairly thin. This is one of the main reasons I was using miliput, as it dries very solid after a few days meaning I could use a very thin layer and it would still do what I needed it to. 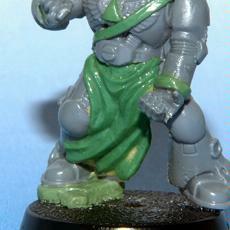 Milliput you can paint and prime same as greenstuff/plastic/metal. Other putties/clay I guess you would have to look into. The shield is on the side of his leg and isn't meant to hide anything. If I'm honest, I didn't show the back as I haven't finished it yet. But don't tell anyone that. edit: actually I shall try and get a pic for you tomorow if you want. As you can see I haven't done the green stuff yet. But I hope you can se that the way I have laid the milliput it's not hindered the look from the back, and I can still sculpt my creases over that. ...when I get round to it. Hey congrats on the dakka win! We were neck in neck for the first part of it but you finally pulled ahead in the end. This is by far one of the more helpful and informitive guides I've seen. Thanks for the perspective shot! I'm kind of glad you didn't finish the model right off, seeing the other side of the first step was really helpful. Your not kidding when you say it only takes a thin layer of the stuff to make a stable sculpting base. .
Also congrats on your win! This really is an excellent tutorial. Using GS/Procreate is really a tricky process to learn by trial and error, and this cut directly to learning! Brillant tips, really really awesome, you definitley desevered the win!!! ps Woop for living in Cumbria!!! His halberd looks like a nemesis force weapon. 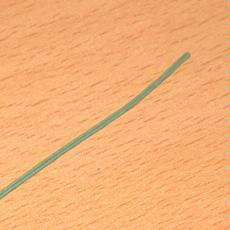 You can cast using a pen-cap, it isn't all that hard to get a nice shape just make sure to coat the green stuff with petroleum jelly before inserting it using a paper-clip armature into the pen-cap. As long as you applied the petroleum jelly generously the pen-cap should easily slide off. After you have done the nozzle marks, trim the pie sheet so it is 1 inch shorter than the coffee straw, it should be around 4 inches long and about 1 1/2 inches wide. 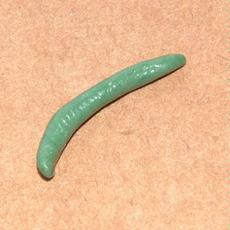 Take the now dried glue coffee stick and place it along the long edge of the prepped green stuff. 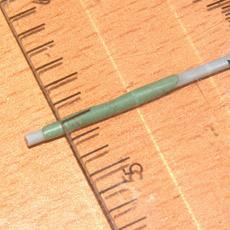 Roll the green stuff around the coffee straw, making sure your melta nozzle marks are visible on the outside. 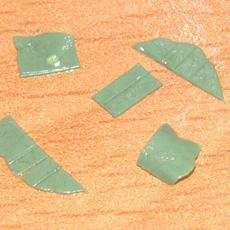 Trim the excess green stuff and clean the seam up with a rounded metal tool coated in petroleum jelly. One stick can make at least 20 melta nozzles, the rest of the gun can be framed with either a tiny bit of aluminum foil using a pair of needle nose pliers, or made from pen-caps (if you can find ones small enough to make such tiny guns). After making the frame for the gun simply clean up the appearance with some green stuff; I would recommend brown stuff for very detailed machinery bits. Green stuff is no where near as good at being sanded and filed as brown stuff is. 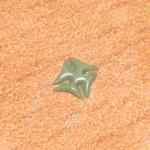 If you want to, you can make a mold using a mix of 1 parts milliput to 1 parts green stuff. Just mix the two together after independently mixing them, stick the mix into a small metal jar-lid (leave the rubber lining in the lid). After making the surface as even as possible by using some water to smooth the surface take your scratch-built gun and lay it on waxed paper, put petroleum jelly on everything but your eyeballs . The gun to be molded will need a built in port using a sprue bit attached to the handle of the gun or something if you plan to use the mold for a "liquid" cast. Now simply cast one side of the gun, making sure to get a very solid fit in the green stuff. Wait around 6 hours at least then cast the second side using the same method. You can use this mold to cast with just green stuff, simply take a clump of green stuff, coat the mold generously with petroleum jelly, and press the green stuff into shape with the mold. With a bit of practice you will easily get the hang of this. 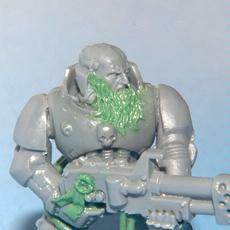 My flgs is having an event soon where you build yourself as a guardsman and I was wondering if you could post a tutorial on gun slings to actually fit across the neck and shoulder. Ok I shall try and get that in my next one. What I would do though is actually not too different from the second picture in the purity seals bit. where do I find miliput? Is that what its called in the states? Same goes for the "green stuff". Green stuff you can find at most hobby stores. Krimmsonscurge, as far as I know milliput goes by the same name in the US. You might have to look online as I do as I don't know of any local suppliers where I am. Green stuff is what GW call kneadatite, they sell overpriced versions of it in their stores but if you want to save yourself some cash search for kneadatite online and you can get some better deals. I've seen Milliput at Hobby Lobby stores here in Texas. Excellent Tutorial. I could use this to creat extra long purity seals. Maybe make them larger for dreadnoughts and other vehicles. THANKS for these tutorials i plan to do them!!! BTW i made mini molds for little details like the skull and crossbones on a bolter or lascannon, and skulls from bolters. i jsut took a GS lump and pressed it on it, so its pressed in there, petroleum jelly would work to prep the mold so i can push GS into it without the GS sticking? 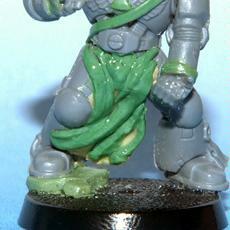 I'm a huge greenstuff noobite and am attempting to use it to make some masks for old metal guardsmen and, even though not directly covered, there are some great tips for me to take away from this. Congratulations! This tutorial has opened many doors for me, thanks. You have given me some great tips for converting my AoBR SMs into CSMs. 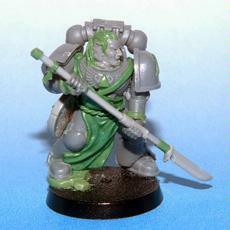 I never really thought I'd need to use greenstuff on my army, but after seeing this tute I'm actually trying to find an excuse to. I hope this article stays in the archives on Dakka. How many Golden Daemons have you won? lol no golden demons sorry. I am currently suffering from one of my ussual drops in attention span so the planned follow up to this and a bit of a p&m blog aswell is on hold untill I can get into it again. 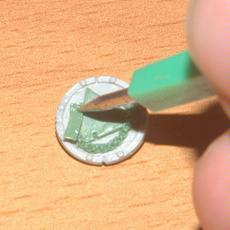 after i read this article, i realized i've wasted so many green stuff because i didn't used a right tools to keep those putty in pace, and didn't thought about lubricate the blade. 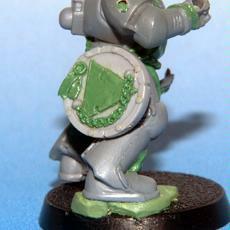 Where do you get tht clay not the greenstuff the thing on the tabard to start out with? 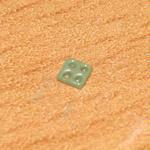 I think its milliput. Its not overly hard to come by, hobby stores may have it otherwise just search for retailers. Bruiant is correct. It's Milliput, it's pretty handy as it sets harder. You can also file and drill it after it has set. 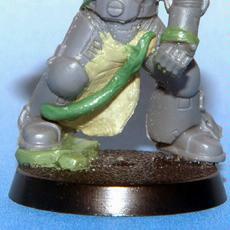 You can also mix it with greenstuff to make it easier to sculpt with. Hobby stores may have it, I get it online. i have only just seen this its excellent and well done for winning the dakka thing and it works . Ok, this isn't new. I orginally posted it here http://www.dakkadakka.com/dakkaforum/posts/list/242920.page I'm just putting it with this as It's kind of too short to be left on it's own and I'm going to just add the new tutorials I am making to the end of this thread to make one big thread with all the stuff in one place. Done. 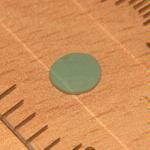 If you want to ad the gem, poke another hole in the middle and wait untill dry, then add a small ball of GS. As you can see by the size of my finger tip in one of the photos this is a fairly small version, I have made larger versions with the same method however. damn you, all i end up with after green stuffin' is more nurgle infested *fill in whatever i was actually trying to make here*. very nice work and instructions. Good job, glad i could help. Some very clever stuff here, especially the Terminator Honours. Kudos. Extremely helpful and clear. Now to put some of it into practice.. Thanks Whatwhat, exactly what I needed. Been looking for awhile now, this seems like the perfect help to reach the next lvl. gratz on the tut win also. Is it meand to be a Black-Templar symbol or am i just... wrong? Either way, it looks good. Simple and to the point. Good job on the stuff this gives some ideas for my Black Legion. Okay i love that. I was trying to mess around with plastic card and building a cross but that is so much easier. Yeah, i wonder to! Everyone seem to think it was so great, but it is gone! now does he keep the surface he's working on wet? because I dont really see a lot of excess water or what have you. Thanks for this fantastic tutorial. Please continue the tutorial, and please show the finished model when he is ready (painted). LBursley wrote: Tutorial deleted?!?!?!? What happened? Saintspirit wrote: Yeah, i wonder to! Everyone seem to think it was so great, but it is gone! I am definitely book marking this thread so I can always reference back to it, damn you are good with greenstuff. 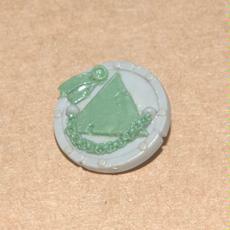 Keep on making more for I am new with greenstuff, some say im not bad with it, but I would like to get up yo your quality good sir. It's such a great tutorial that when people ask how to sculpt cloth I send them here and they get to see the rest of the goodies in this thread. Good job on the tutorial. I'm a total newb with the green stuff and am now way more interested in conversion. Do ya have any ideas for Daemons/CSM? 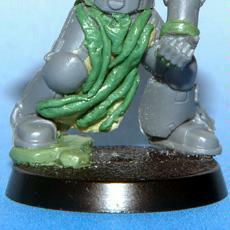 Well I have some nurgle stuff which will be in with an update I post in the new year. binky wrote: Good job on the tutorial. I'm a total newb with the green stuff and am now way more interested in conversion. Do ya have any ideas for Daemons/CSM? 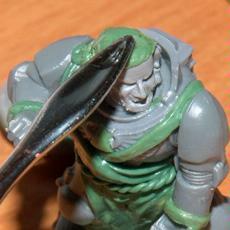 Check my gallery, I green stuffed some mohawks on noise marines. Got any tips on making banners/battle standards using GS? well, I'm in the process of making a plasma cannon from 2 plasma guns and a missile launcher. I'll start a blog for it. Wow, I wish i could do that. Neat. 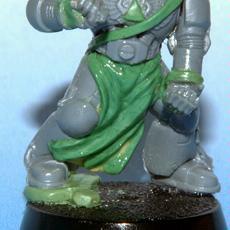 The use of a solid base on which to sculpt the tabard looks worth trying. JUst an added note, you know those highlighters you buy at a book store? They can be used to smooth out surfaces and the "ink" in the highlighters act as lubricant! Doesn't it get a bit messy? the best GS model i made was a big lump as a body and just jammed some legs in to show that My Sorcerer had a spiders body... with 6 legs . whatwhat wrote: Doesn't it get a bit messy? not really, a yellow highlighter's ink doesnt show to much on skin, plastic, or any other surface except paper. Hrm... that's an interesting idea enmitee. I might have to steal some of my wife's and give that a go. Maybe I will find where she hid my box cutters and hobby knives in the process. enmitee wrote: JUst an added note, you know those highlighters you buy at a book store? They can be used to smooth out surfaces and the "ink" in the highlighters act as lubricant! Dude...that's the greatest thing I've read, right after the first post here. all I have to say is thanks Whatwhat for the turorial. 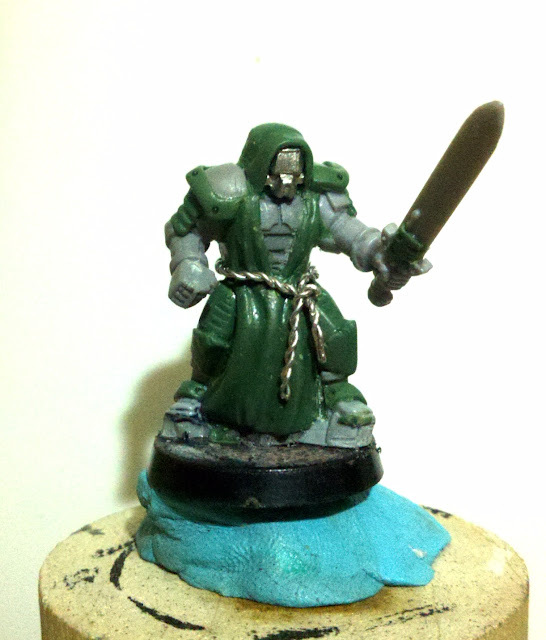 It was very helpful for some sculpting I had to do on my aobr dreadnaught. Lost the smaller peice on its cc arm so I replaced it with GS. Not perfect but looks good to me. how long does it take for GS to completely dry? and how long before it becomes the "semi-firm" condition described in this forum? someone should back that up though, i'm no expert, just been looking into this stuff. WhatWhat, first, thanks! Awesome info man. My main question for you would be to ask you to describe the lubrification process a bit more. Many tutorials simply mention the use of Vaseline or water or spit, but don't describe the quantity, when to apply, whether cleaning it up is necessary before paint etc etc. I have pretty steady hands and am confident with them, but the biggest problems I have encountered with GS is controlling what it sticks to consistently. I use oil which is pretty much the same as baby oil or massage oil and I use it sparingly, you only need enough to let your tool run along the putty without gripping it. Same goes for vaseline but I find that too thick personally, and messy. 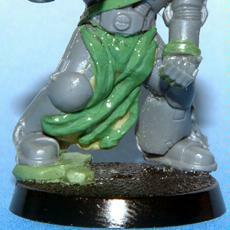 You will need to rinse your model before painting it though since oil and vaseline tend to stick around. 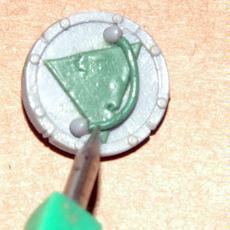 also for any new sculptors, try using blue tac first so you can get the hang of it. im about to convert a warboss and thought of using green stuff but it looked realllllllllllly hard! after reading this i might try it since it's EXACTLY what i wanted to add to him (ropes/chains/robe). thanks a bunch. All of it looks great. I like it a lot. 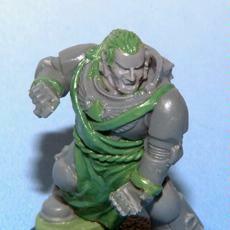 I have a handful of mods on my Necromunda gang that would have looked like Stevie Wonder had done them had I not read this tutorial. Great work mate. Would love to see more tips. Maybe on styles of hair? Just a thought. Love the the last tip with the star emblem. Great tutorial! this kind of thing is why I joined Dakka. Should help a lot with my GS cloaks and tabards( Ive been using peices of carved sprue as a seleton for them in the past :S ) Can't wait to see more of your tutorials in the future. what about creating your own weapons any tips?? oldkey wrote: what about creating your own weapons any tips?? Isn't that illegal because it is recasting? If it is just copying them then yes, but if it's your own unique pattern of that weapon then it's fine. I could make a machine gun thing with a longish barrel and throw what looks like an exhaust at the end and call it the Dante pattern Meltagun and it would be all good assuming that they don't already make the exact same one with the exact same name. But even then the name doesn't matter unless I was to sell it, but if I did I couldn't even call it a Meltagun, maybe a Magna-gun or something like that, but it would have to look nothing like any existing ones anyone has a trademark on. You're free to replicate your own unique ones though. Excellent! This is the kind of stuff that can turn a marine into a chapter master. 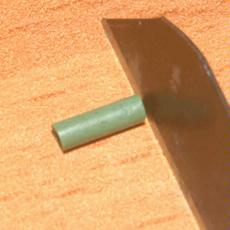 You want milliput because you can cut and file it afterwards. But mix it with a bit of greenstuff since it doesn't take shape to easily. 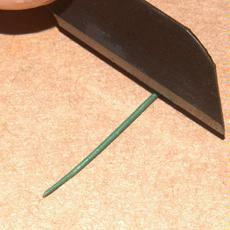 Flatten some out to the thickness of your weapon's blade. Wait for that to harden a little then get a knife point and carve the shape (ie and axe head, sword blade etc.) into that flat putty. Then you want to wait untill dry and hard then run the back side of a blade along the edge of the shape where you want a sharp edge, just like you would were you sharpening a real knife. 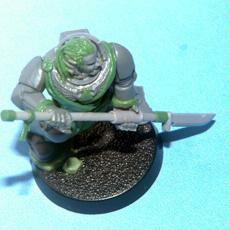 Then you can add a haft, hilt etc. later. Just wanted to say "thanks" for a great thread! As someone who's been playing and painting a long time but for whom scratchbuilding and modeling a things I've only recently been dabbling with... your original posts and the subsequent additions from other members have been extremely helpful. I look forward to learning more as time goes on. That looks amazing. 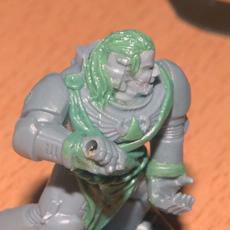 Check out this article about what to do with your left over greenstuff! 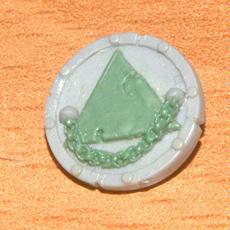 http://captureandcontrol.blogspot.com/2010/04/making-greenstuff-press-mold.html Thanks for this brilliant post, I will definitely make use of it on my Space Wolves. 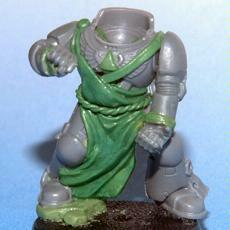 That is BY FAR the best green stuff sculpting i have seen!!! great tutorial. Helps a lot with camo cloaks. Great tutorial. I certainly learned a few new tricks. Thanks for posting it. Once you start working with the green stuff about how long dose it take from the moment you mix it up to dry and fully harden? very useful tricks, thanks for sharing your skills. Absolutely fantastic. 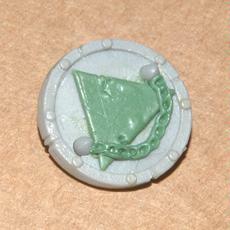 Any advice on making Green Stuff molds? I'd like to add my thanks to you for giving me a push in the right direction with sculpting, particularly the cloth and ropes. 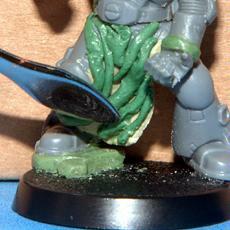 I've just finished sculpting on a converted terminator captain for my marine army, and while I ended up using a different method for the robes, the twisted sausages of green stuff turned out excellent for the ropes. So, once again, thanks, and keep up the amazing work! Amazing stuff!! I can't get to grips with greenstuff, I dunno. I always find that its far too sticky for me to do anything with, and it seems to set far too quickly too! What's the secret? Thank you thank you thank you thank you thank you! This is just what I've been looking for! If you were near, I would buy you a cake. 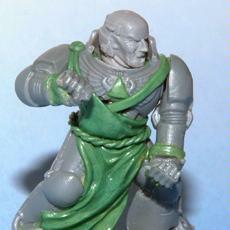 Nice marine conversion, great sculpting work! Very cool, I cannot wait to try this out. Would it work with BrownStuff? I haven't used 'brownstuff' and a search I just did in google to find out what it is just gave me some very unpleasant results. ...so I don't know. whatwhat wrote: I haven't used 'brownstuff' and a search I just did in google to find out what it is just gave me some very unpleasant results. ...so I don't know. 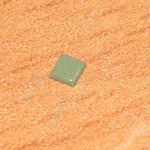 Basically, it is another form of epoxy putty, though that is all I know, since I have never used Greenstuff. That is AWESOME! Never Thought of Doing that! 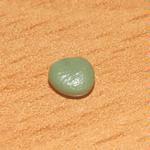 I just found it online, it's kneadatite which is the exact same stuff as greenstuff, just a different colour. So yes you can use that. Finally i found someone who knows an easy way to do it, by using your tips i was easily able to create robes that not only look good but make me impress my self. Thanks much for the awesome easy steps! It's actually different. It sets much harder and I believe it has some form of aluminium in it so it can be used for hard edges easier than Greenstuff. Incredibly useful tips, cheers. Went through all my WDs this morning, looking for some GS hair tips and found nowt, five minutes online and I'm brought here, perfect. You truly have the talents to pay the balance! I've only just started playing around with Green Stuff, so running across this thread was great. Thanks for the tips! Using a piece of clear acrylic as your work surface. You can get this at most craft stores or even at your local DIY home improvement stores. It's a nice smooth surface that can be lubricated easily and is portable. 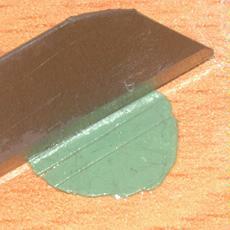 I use a smaller square that is slicked to flatten out my green stuff into nice smooth, thin sheets. 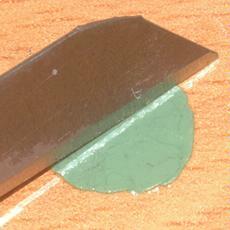 A clay scraping blade, a thin , very sharp blade I use to lift gs off my work surface and make nice clean straight cuts. 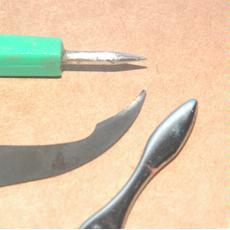 Rubber clay shapers are a great way to expand your tool arsenal. 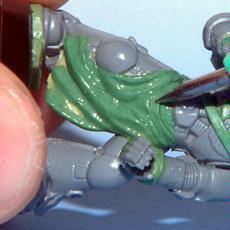 Super glue helps to tack Green stuff to your model. 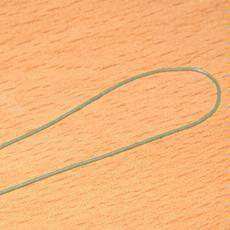 Its especially helpful when the gs starts to firm up and your trying to tack on a strap or section of a robe. This probably varies fronm country to country; but in Australia I get mine from a store called back to base-ix that have a website and an ebay presence. 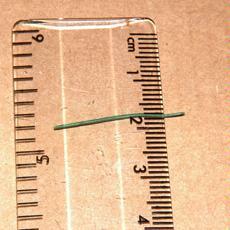 ~110 grams (36 inches) for $14.95 free postage in Aus. America, somewhere like maelstromgames could be cheaper or the like. I've also heard cardstock can substitute the milliput first stage on the tabard, although I am yet to test this for myself. Just in that small tutorial I have learned so much thank you and you make it look so easy . I will use these techniques the next time I try to sculpt a robe . Im sure I will have improved greatly because of your tips . Thank you and I hope to see more soon . This is so nicely done. Thank you for sharing. Very cool, been needing a tutorial like this for a while. That's the most impressive tutorial I've ever seen. I'm going to give it a try! I just recently got into sculpting, so these tutorials will definitely be helpful! Thanks for posting this. Just what I was looking for! I'll be trying this out on some Cadian men to try and make Commissars. its not my ebay no, but come to think of it it would be a good way to boost my sales lol but no sadly it isnt i thought for any of you out there wanting lots of green stuff for cheap then there you go. Enjoy and once again awesome straight to the point advice whatwhat subscribed and hope there is more to follow. in reply to my post were i would keep you posted about my order of green stuff. well it was fantastic when that parcel came in the post and opened it up. there were 36 and a quarter inches.